Housing.com has come up with an innovative product called Rental Agreement that allows its users to create customized rent agreements online within few minutes. Launched in October 2014, this service is currently available in Bangalore and will soon be extended to other cities of India in phased manner. 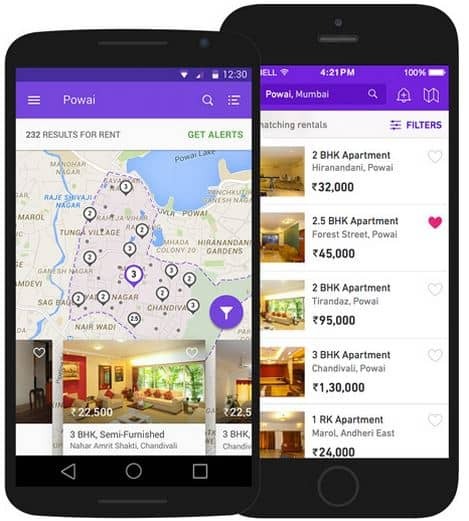 Here is how Rental Agreement by Housing.com is making your life simple. The new product by Housing.com is an interactive platform that lets you to draft a rent contract online in the standard online rental agreement format from the comfort of your home or on the move through its mobile app within minutes. You just need to fill in appropriate information that includes name and address of the landlord as well as tenant, details of the property including amenities offered, monthly rental, security deposit and tenure of the contract which is 11 months for leave and license agreement, and the document is created. Once the document is created you can review the agreement and make any changes if need be. This is only possible online with Housing.com. It also gives you an option to save the template for reuse in future. Along with entering the basic relevant data that is the perquisite for all contracts, you can also select the clauses relevant to your property from the extensive list of selectable clauses. All of these terms and conditions are legally valid and verified by the team of legal experts. You can also take help of FAQ section to customize your Rental Agreements. After the contract is created online, you have the option of ordering for home delivery. Once you select this option, Housing.com will pay the e-stamp duty on your behalf, thus saving you from the hardships of standing outside the e-stamp centers for hours. This is not all; it will also deliver the document to your home within 48 hours of ordering, thus saving you both time and effort. With Rental Agreement product by Housing.com, you not only end up saving your time and effort, but also save some good amount of money which you would have otherwise paid to real estate agents and lawyers. In addition to this, once you create the agreement online, there is nothing that needs to be done from your end and the Housing.com team will take care of all procedural activities including the background paperwork, thus making your life simple. It has an online e-stamp calculator that lets you to calculate the correct amount of stamp duty to be paid on your property. Even if you are not interested in e-stamping, you can still go ahead and calculate the correct stamp duty to be paid on your property by simple filling the required property information and creating the customized agreement. If you finding a well set-up houses then you must try Housing.com as We are sure that you will be satisfied with the services provided by them.